Our product range includes a wide range of bandsaw blades and wood cutting bandsaw blades. Size/Dimension 1/2" to 6 "
A wide range of Band Saw Blades are offered by us to customers. These Band Saw Blades are available in the market in huge range at affordable rates. 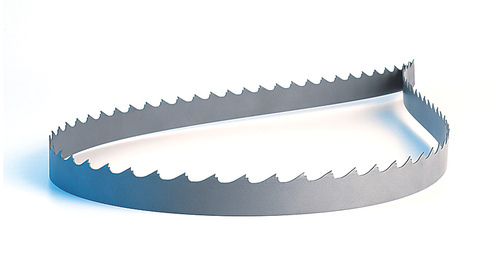 Band Saw Blades are extensively used at speeds under 200 feet per minute, on Diamond Bland Saw Machines, etc. Our products are of internal quality and easy to use. Band Saw Blades Manufactured by us are easily one of the best wood cutting tool present in the market. 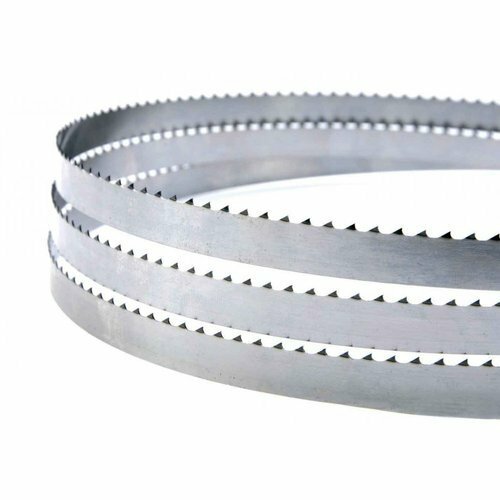 Our band saw blades range from different widths to different thicknesses and lengths. This provides you with more options to choose from. Superior quality materials are used by us to manufacture these top class band saw blades. · Narrow Band Saw Blade : Ganpati Super Narrow Wood Band Saw Blade ranges from "9mm) to 3"76mm) in width and 25 swg (0.50mm) to 18 swg (1.20mm) in thickness per inch (T.P.I) can be set as per buyer’s specification. Each roll is in between 50 to 150 meters. · Wider Wood Band Saw Blade : Ganpati Super Wide Band Saw Blade ranges from 4” (100mm) to 10” (250mm) in width and I9 swg. (1.00mm) to 16 swg. (1.60 mm) in thickness. Two types of teeth are available - Shape N & Shape Parrot -; however it can be supplied as per customer’s requirements. Each roll is between 25 to 100 meters. Manufactured from Hardened & Tempered High Carbon Alloy Steel and Nickel Chrome Steel Strips. · Narrow Band Saw Blade : 10mm and goes up to 76mm wide. · Wider Band Saw Blade : Above 76mm up to 250mm wide. · Teeth : Cross Cut teeth and Ripping teeth. · T.P.I. : 1 to 5. Looking for “Band Saw Blades”?